We now take it for granted that our machines can sense almost any space in the world, from deep sea trenches to the chambers of the human heart. Building on thousands of years of research in physics, war, and natural history, doctors in the 1940s began using ultrasound to scan human and animal bodies. Taking cues from dolphins and bats and Leonardo da Vinci’s early echolocation experiments, naval scientists in the early 20th century learned how to detect mines and submarines with sonar. Early cathode ray studies by Wilhelm Röntgen, Nikola Tesla, and Thomas Edison led to the development of x-ray photography, which enabled radiologists to see broken bones, art historians to read the layers of an oil painting, and physicists to study crystalline structures. Revolutions in machine sensing have transformed fields like medicine and engineering and creative production, several times over. Now, finally, these technologies are reaching their apotheosis, converging in — sound of balloon deflating — the self-driving car! We need to ask critical questions about how machines conceptualize and operationalize space? How do they render our world measurable, navigable, usable, conservable? That’s probably an understatement, because the applications go well beyond self-driving cars. Everything from autonomous warfare to logistics to geo-targeted advertising depends on map superiority. On the friendlier end of the spectrum, maps drawn by AI have potential to transform myriad areas of research and design, and to influence policy and governance, starting with environmental protection and public health. Utopia machine or not, the self-driving car has captured the public imagination like few devices since the smartphone. I suspect that’s because we marvel at, or even envy, its powers of perception, which are largely derived from 19th-century technologies that are familiar enough to be relatable. 8 The most basic of these is an omnidirectional array of cameras. Teslas, for example, have redundant front cameras that cover different visual depths and angles, so that they can simultaneously detect nearby lane markers, construction signs on the side of the road, and streetlights in the distance. 9 Radar sensors, unimpeded by weather, track the distance, size, speed, and trajectory of objects that may intersect the vehicle’s path, and ultrasonic sensors offer close-range detection, which is particularly useful when parking. The car sees the world as an organized 3D code-space, and as an assembly of reflective objects that may interrupt the order of that code-space. So the car “sees” and “hears” the world as an organized three-dimensional code-space, with signs and lines directing its operation; and, simultaneously, as an assembly of reflective objects — pedestrians, bicycles, other cars, medians, children playing, fallen rocks and trees — that may interrupt the order of that code-space, and with which each car must negotiate its spatial relationship. Driving is often challenging for humans because we must code-switch, as the car does, between different ways of reading and understanding the world, while also distributing our vision among different widths and depths of field and lines of sight (not to mention dashboards and text messages and unruly passengers). Human ears are multitasking, too. And machine pilots (again, like humans) do not operate on real-time sensory input alone. Just as we have Siri and Google and mental maps, driverless cars tap into external sources of geospatial data. Standard GPS is accurate within several feet, but that’s not good enough for autonomous navigation. Industry players are developing dynamic HD maps, accurate within inches, that would afford the car’s sensors some geographic foresight, allowing it to calculate its precise position relative to fixed landmarks. Layering redundant forms of place-awareness could help overcome ambiguity or error in locally sensed data. Meanwhile, that sensor data would feed into and improve the master map, which could send real-time updates to all vehicles on the Cloud network. 14 In other words, autonomous vehicles will rely on an epistemological dialectic, balancing empiricism with carto-rationalism, and chorography with geography. Time to Reflect Reality = the metric of lag time between the world as it is and the world as it is known to machines. Lots of companies are building maps like this, including Alphabet’s Waymo, German automakers’ HERE, Intel’s Mobileye, and the Ford-funded startup Civil Maps. They send their own Lidar-topped cars out into the streets, harvest “probe data” from partner trucking companies, and solicit crowdsourced information from specially-equipped private vehicles; and they use artificial intelligence, human engineers, and consumer “ground-truthing” services to annotate and refine meaningful information within the captured images. Even Sanborn, the company whose incredibly detailed fire insurance maps anchor many cities’ historic map collections, now offers geospatial datasets that promise “true-ground-absolute accuracy.” 15 Uber’s corporate-facing master map, which tracks drivers and customers, is called “Heaven” or “God View”; the parallel software which reportedly tracked Lyft competitors was called “Hell.” 16 That’s quite some epistemological (and ecclesiastical) chutzpah. Yet achieving real-time “truth” throughout the network requires overcoming limitations in data infrastructure. The rate of data collection, processing, transmission, and actuation is limited by cellular bandwidth as well as on-board computing power. 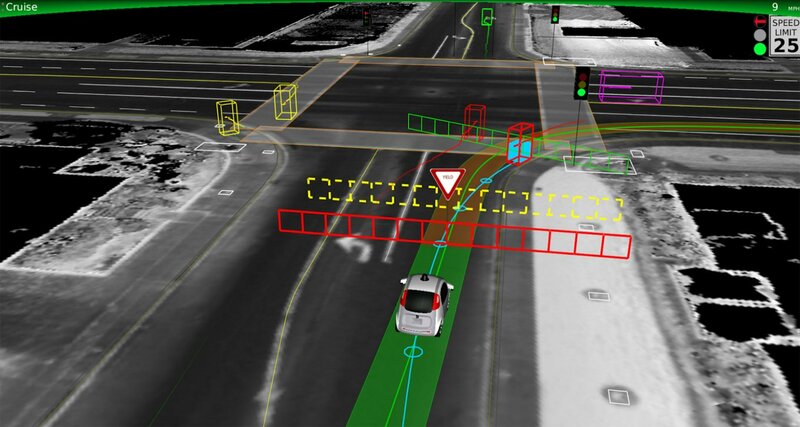 Mobileye is attempting to speed things up by compressing new map information into a “Road Segment Data” capsule, which can be pushed between the master map in the Cloud and cars in the field. If nothing else, the system has given us a memorable new term, “Time to Reflect Reality,” which is the metric of lag time between the world as it is and the world as it is known to machines. Honestly, I don’t give a leaping Lidar about self-driving cars. Or any cars, for that matter. I just can’t get excited about innovations that fetishize personal mobility and the alienating, landscape-destroying, maintenance-intensive infrastructure that sustains it. What I really want to discuss is this: How can we use all these new and old technologies to improve the physical world that we humans (and our non-human companions) read and inhabit? Some urban designers imagine that the containment of vehicular traffic will allow more street space for walkways and bike lanes and parks. 17 Others note that we need to be intentional about how we redesign cities to accommodate the semantic preferences of our robot companions. Geoff Manaugh mischievously suggests that the machines’ sensory quirks, like Lidar’s vulnerability to mirrored surfaces, might prompt us to consider “how we could design spatial environments deliberately to deceive, misdirect, or otherwise baffle” autonomous agents. 18 In a coming age of robot warfare and policing, we could see designers specializing in the creation of robot-illegible worlds rather than machine-readable ones. How can we use these technologies to improve the physical world that we humans (and our non-human companions) read and inhabit? What further impact might these “other mappings,” have on spatial design practices? Lidar is used by urban and transportation planners to create highly-detailed digital surface models, by preservationists to create point cloud surveys, by architects to model complex building sites, and by astronauts to study the surface of the moon. 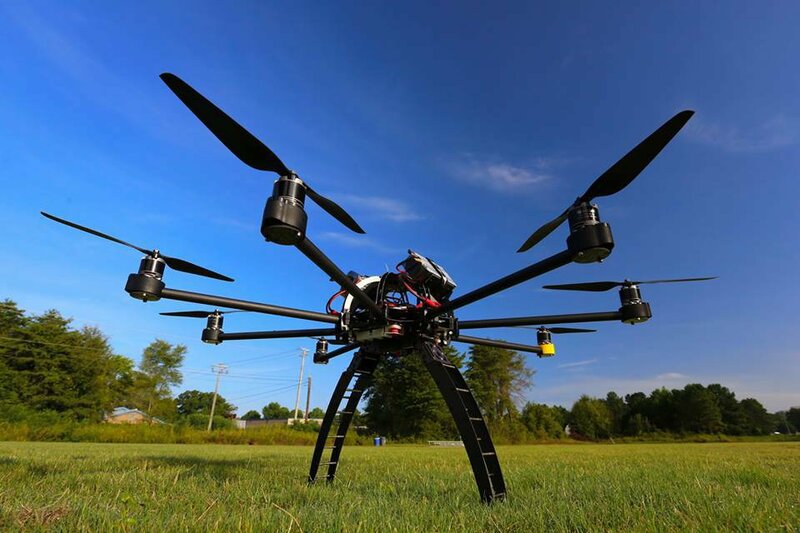 Aerial drone imagery is also emerging as a new way of seeing. Relief workers, including those laboring in the wake of hurricanes Harvey, Irma, and Maria, use drones to aid in disaster recovery. 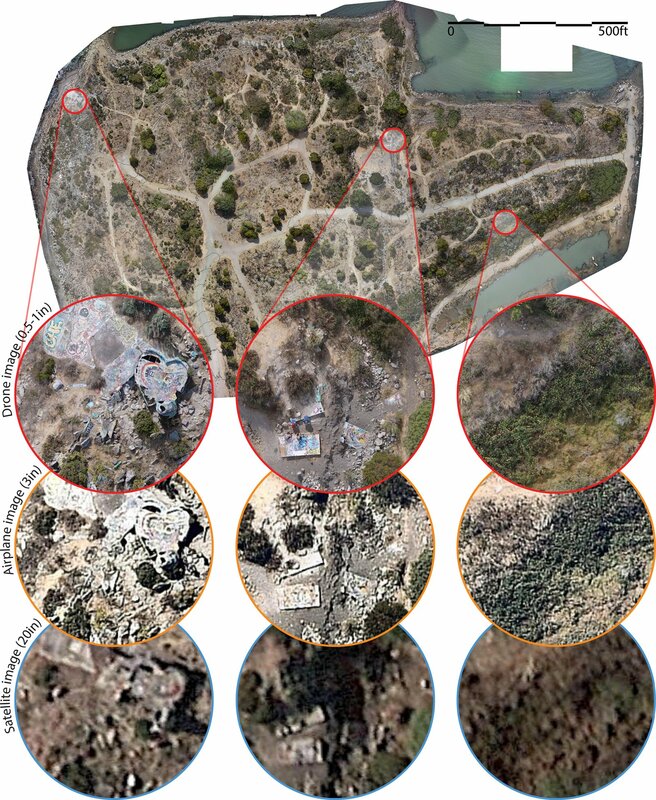 Archaeologists use drones to create site models, assess land uses and vegetation, and study earthworks and buried structures. 19 Karl Kullmann has identified similar advantages for landscape architects. Designers long accustomed to the overhead view of GIS and satellite imagery, which emphasizes “large-scale associations, systems, and infrastructures,” can now operate from a “lower and more individualized oblique” vantage, sensitive to the “near-scale” qualities of place. 20 Kullmann proposes that these two machine views — representing two different altitudes, scopes, and perspectives — are complementary ways of sensing and knowing a site. They embody distinct, though reciprocal, politics of vision and ethics of engagement. The operational premise here is similar to that underlying the self-driving car. We take it on faith that redundant data and multiple perspectives will yield greater precision, a better outcome, a higher truth. We need to consider how humans and machines experience space and time differently, through various senses. We need to examine how the components of spatial intelligence are operationalized differently by (and for) humans and machines. And we need to grapple with what it means to create an unprecedentedly robust map of the world meant mostly for non-human agents. The car itself is less interesting to me than the critical terrain it’s mapping. We need to grapple with what it means to create a robust map of the world meant for non-human agents. 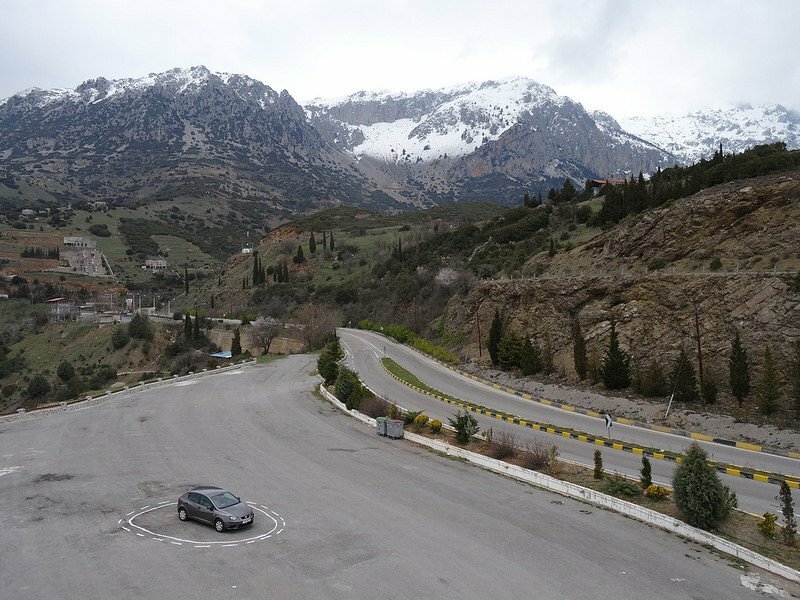 The car itself is less interesting than the critical terrain it’s mapping. Urban planning should not be mistaken for an algorithmic pattern language; a city plan is more than the aggregation of spatial features an AI has correlated with wealth. Conor O’Shea makes a similar observation about the use of drones in landscape architecture. While drones and satellites, used in tandem, might help to critically reframe designers’ perspectives, “human-to-human interviews, community outreach, political engagement, and research-based design strategies matter more than ever.” 30 We need multiple eyes, ears, hands, sensors, and brains — automated and manual, digital and analog, machinic and human — on the case. So now we’ve examined the well-funded and widely publicized attempts to map the world as a code-space legible to machines. And we’ve considered efforts to use those machinic sensibilities and intelligences to solve perennial human and environmental challenges. Social researchers and aid workers are also using “other,” artificial intelligences to map human Others — the silenced, the vulnerable, the marginalized. It’s a noble gesture, to recognize the subjectivity of a historically invisible population by rendering it visible on the map. But that visibility can also mean vulnerability to harm or exploitation. Since those human Others have long been absent in the datasets we use to make our maps, we now rely on methodological maneuvers and machine-readable proxies to render them mappable. We must take care not to equate the impoverished with the thatched roofs over their heads. The politics of the overhead satellite view and the universal GPS grid do not always map onto the way traditional cultures relate to their own environments. 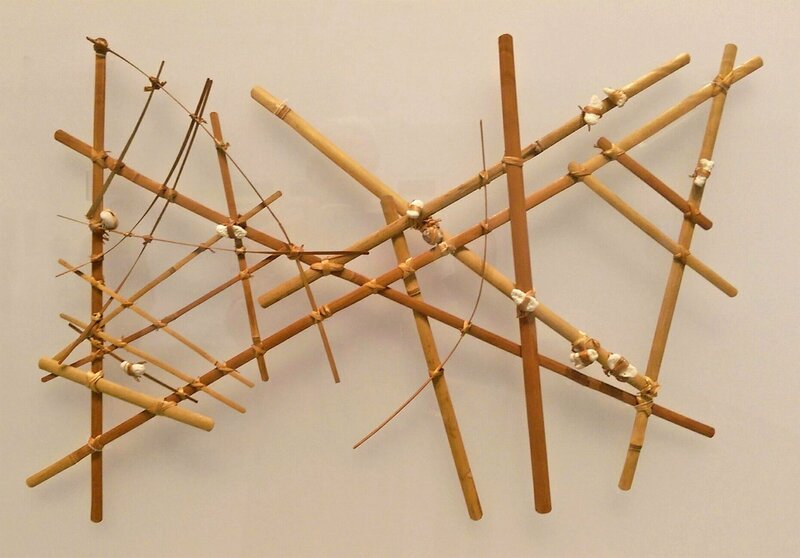 Those Marshallese stick charts, meanwhile, recorded navigators’ ability to identify nearby islands by sensing the disruption in ocean swell patterns. Since the island navigators were charting reflections, we might regard their methods as analog antecedents to contemporary sensing machines like sonar and Lidar. Yet the meaning of reflected waves is entirely different for these human “sensors.” As Karin Amimoto Ingersoll explains in Waves of Knowing: A Seascape Epistemology, many surfers and traditional navigators in the Pacific cultivate “oceanic knowledge” by irrational, intuitive means, by fusing mathematics and physics — which are among our computational sensors’ strengths — with dreams, vibrations, and oral histories. The swells we call ‘waves’ are measured, parametricized, and modeled through buoy sensors and computer simulations. And those wave models and maps are trained primarily on northern oceans, which are much more heavily instrumented. Detail from They Would Not Take Me There. When I ‘visited’ the park through street view imagery captured (in accordance with Tjukurpa law), the dimension I sensed most clearly was my own Otherness. 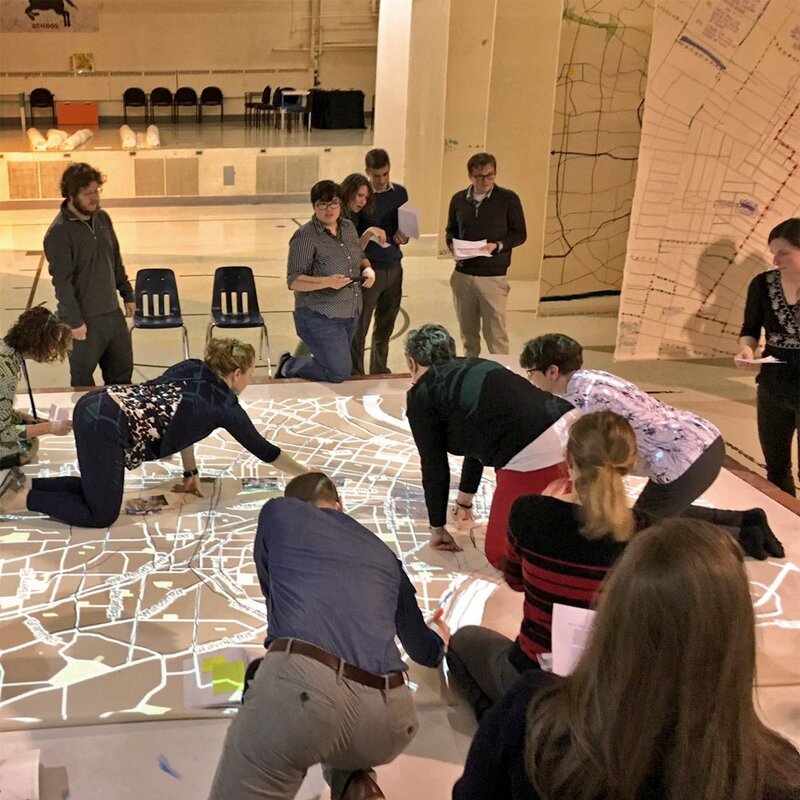 Hoping to bridge such gaps, and striving not for global reach but for local resonance, the Center of Creative Arts in St. Louis partnered with the Office for Creative Research in New York to create a pop-up St. Louis Map Room in a shuttered middle school. In a city with a deep history of racial divides and cultural Othering, the Map Room brought people together to think about the geography of their city, and to learn more about one another’s urban patterns, city memories, spatial affinities, territorial aversions, and senses of place. The organizers stocked the room with historical maps and civic data on everything from land use to racial diversity to tree counts, and with abundant art materials and even some map-making robots. Then they invited community groups to draw on these cartographic resources and integrate their own place-based intelligences to construct 10×10-foot thematic maps. Museum curators, students, activists, health care workers, and others mapped multiple St. Louises: redlined St. Louis, homeless St. Louis, St. Louis schools, St. Louis transit, and so forth. Subsequent visitors could then take those maps, and project geo-rectified historic maps or city data on top, exploring new correlations. The robots symbolized the complementary relationship between mechanical and organic means of experiencing and representing place, between quantitative and qualitative methods, satellite views and fieldwork, rationalism and empiricism. Researchers are recognizing the existence of spatial intelligences that exceed human capacity. How do other species perceive their own environments? Over the past 15 years or so, we’ve seen rising interest in animal geographies. Henry Buller, who wrote a three-part literature review for Progress in Human Geography, argues that this work advocates for “an interspecies contact … based upon a more convivial, less fixedly human and more risky approach to boundaries, to political actors and to political outcomes that inherently challenges what it means to ‘belong’ or to ‘pertain’ to a particular terrain.” 53 Other species have preceded humans, and they co-exist with humans, in pretty much every terrain — even those where they are now considered “invasive” or “pests.” Researchers are recognizing, through these other species, the existence of multiple intelligences and spatial ontologies that exceed human capacity, and they are devising methodologies to “reveal what matters, or what might matter, to animals as subjective selves.” 54 How do other species perceive their own environments? Plenty of artists and designers have wondered how other species perceive, inhabit, and construct their habitats, and how the artists’ own creative work can represent these non-human subjects’ “lived multisensoriality.” That work, whether conventionally cartographic or not, can be instructive for those seeking to map other spatial sensibilities. Sam Easterson’s Animal-Cams, Diana Thater’s immersive video installations evoking different animal subjectivities, and Lars Chellberg’s and Tomas Saraceno’s work with spider webs all explore how animals build and perceive their environments. 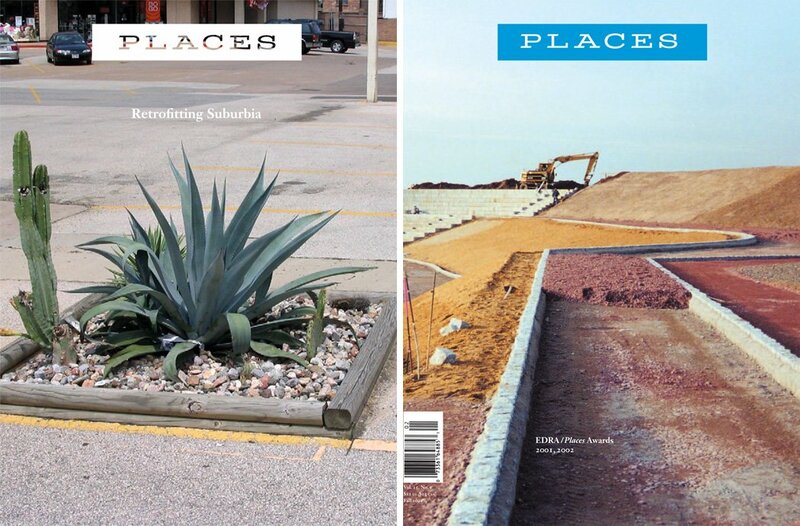 64 The spurse collective uses “non-metric” mapping and other field methods to explore human and non-human ecologies — from the waterfronts of Maine to urban sidewalks — and how those assemblages impact forces as big as climate change and as small as local food systems. 65 The Environmental Performance Agency, created by Irons and collaborators as a rogue EPA in the early days of the Trump administration, conducts similar work. Many of these artists conceive a non-human that extends well beyond the animal. 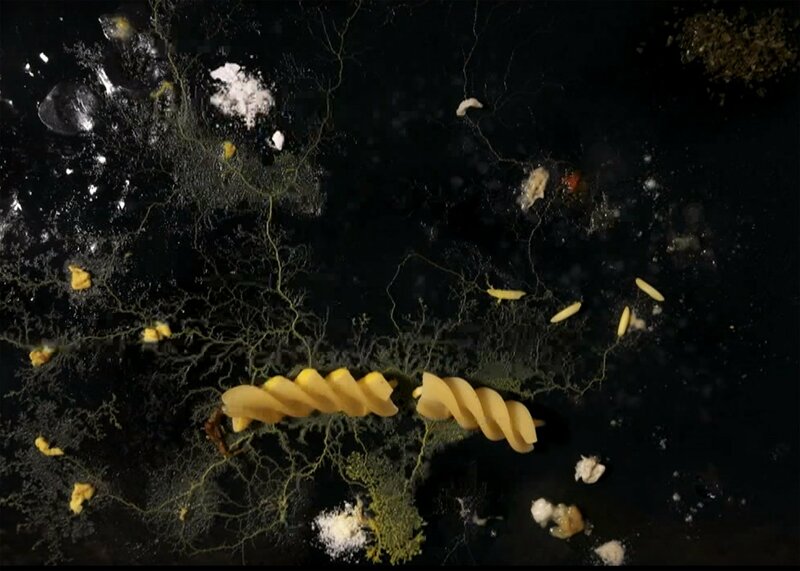 Rachel Strickland’s video work explores “the social lives of urban trees.” 66 Nina Katchadourian finds cartographic resonance in patches of moss, while Heather Burnett investigates slime mold navigation. Irons not only studies the geography of weeds, but also uses their pigments to map them. 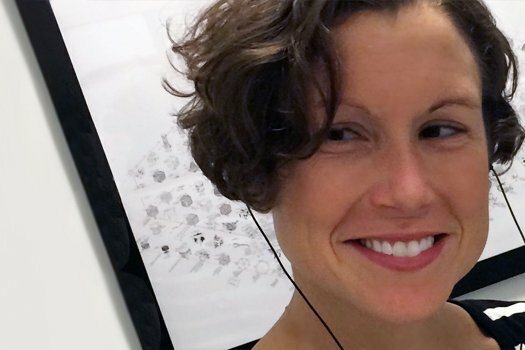 D’Ignazio gives flowers a voice to address the water quality in their habitat, and Karolina Sobecka maps clouds, and the microbes that live in the troposphere, as environmental agents. Lauren Rosenthal has created an atlas where political boundaries are replaced by watershed divides, imagining a world in which ecological markers are as politically powerful as culturally-defined states. So we know what not to do. But who is doing it right? Who else is effectively incorporating other subjectivities and intelligences in cartography? Consider Bear 71, an interactive web documentary produced by the National Film Board of Canada. The project was launched to much acclaim in 2012, then relaunched in a WebVR version in 2017. It compiles geographic data and trail and traffic camera footage chronicling the movements and life events of a single female grizzly bear in Banff National Park, thus documenting “the intersection between humans, animals and technology.” The creators write that the bear was “tracked and logged as data, reflecting the way we have to see the world around us through Tron and Matrix-like filters, qualifying and quantifying everything, rather than experiencing and interacting.” 68 We see how human settlements, roads, fences, food smells, other species, and even 71’s GPS tracking collar have changed the course of this creature’s life; and, further, how maps and screens and sensors have profoundly changed the ways humans relate to the natural world. 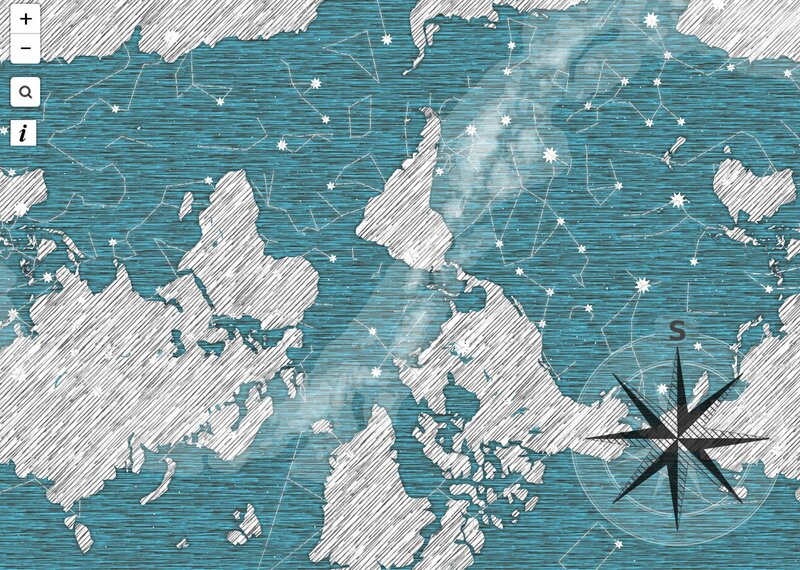 69 This gorgeous project, while not easily replicable or scalable, offers an exemplary map of multiple intelligences, while also embedding a critique of its own technologies of cartographic representation. In 2016, the Office for Creative Research partnered with the Great Elephant Census and various NGOs to document the decline in Africa’s elephant population, which dropped 30 percent from 2007 to 2014. Wildlife and park staff and pilots crossed the continent in low-flying airplanes, conducting a survey of live and dead elephants, as well as other wildlife, livestock, humans, houses, and environmental features, so that researchers could explore relationships between these variables. 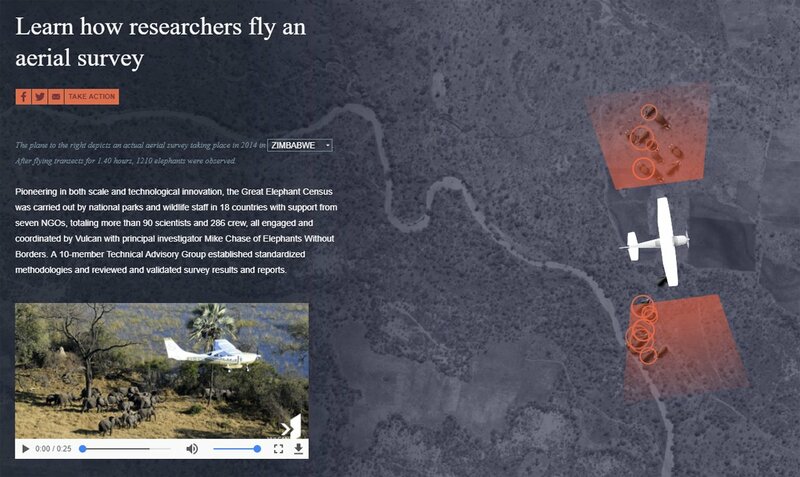 70 All that data was mapped, contextualized, and made query-able on The Elephant Atlas. The website describes the census methodology and explores the impact on elephant populations of global forces like poaching, habitat loss, human conflict, and climate change, as well as political, cultural, and economic changes at the country level. Each of these compounding factors has its own geography, but not all those geographies lend themselves to representation in cartographic form. When I took my mapping class on a visit to the OCR studio, we learned that the Atlas’s balance of specificity, abstraction, and context reflected the designers’ sense of responsibility toward their subjects. They sought to “make visible” improving or declining wildlife conditions in different contexts, yet aimed not to provide too much granular specificity, since such visibility could render these threatened creatures and habitats even more vulnerable. Screenshot from The Elephant Atlas. Elephants are renowned for their spatial memory. Behavioral observations have long shown this to be true, but scientists recently corroborated the empirical evidence by outfitting elephants with tracking collars that monitored their movement toward widely distributed watering holes on expansive, featureless terrains. 71 As advanced sensing machines and spatial technologies become cheaper and more powerful, we will see many more studies like this. Aided by aerial imagery and GPS, binoculars and audio recorders, we can now map everything from elephants and refugees to icebergs and Ubers. We should do so critically and intentionally, bearing in mind that those subjects and agents have their own geographies and spatial sensibilities, and so do the instruments we use to map them. We can aim for an atlas, a prismatic collection of mappings, that invites comparison and appreciation of the ways in which our world is both known and unknown. Increasingly, we turn to artificially-intelligent sensing machines — with their purportedly more objective, efficient, exhaustive, and reliable means of observation and orientation — to shape the protocols and politics of interaction among the various beings who share our cartographic terrain. Yet we must never forget that those computational instruments operationalize space differently — differently from one another and from other “species” of intelligent agents, including us. Drones and dragonflies sense and navigate the world in unique ways. Sonar and Lidar construct distinct empirical terrains, hearing and flashing their environments into existence. Satellites abstract terrestrial realities into macro patterns: from 500 miles up, the geography of hardship is a patch of thatched roofs. These new, artificially intelligent agents may well generate efficiencies in transit and logistics. They might offer insight into how certain groups of people messed up the world, and how we can fix it. Yet these computational intelligences, and ours, aren’t the only ones that have a stake in that world’s evolution. We need to recognize the world’s myriad intelligent agents not only on our maps, but also in our cartographic methods. We must choose our tools and methods wisely, fully aware of their affordances and limitations, sensitive to how they render the world knowable — and how they register and reflect the world as it is known to its many intelligent, invested inhabitants. Ideally, we should balance or juxtapose different modes of knowledge and production: Western scientific and indigenous epistemologies, human and other-species ontologies, mechanical and organic means of experiencing and representing place, cartographic rationalism and empiricism, projection and retrospection. No single über-map can encompass all such subjectivities and sensibilities. Instead, we can aim for an atlas, a prismatic collection of mappings, that invites comparison and appreciation of the ways in which our world is both known and unknown. I’d like to thank Scott Bishop, Catherine D’Ignazio, Elizabeth Ellsworth, Matthew Friday, Ellie Irons, Jamie Kruse, Dan Phiffer, and Jer Thorp for speaking with me about their own work and sharing examples of other mappish art and design projects that explore non-human subjectivities and spatial intelligences. Thanks, too, to the dozens of folks on Twitter who responded to my request for examples of such projects, and who sparked a vibrant conversation: Shawn Allen, Jeremy Bushnell, Deb Chachra, Wayne Chambliss, Jeremy Crampton, Jeff Eaton, Yvette Granata, Robert Greco, Sam Hart, Federico Italiano, Daniel Cardoso Llach, Ben Lyall, Daryl Meador, Abinadi Meza, Joe Miller, Nathaniel Rivers, Timothy Schuler, Jonathan Solomon, Meg Studer, Harriet Walsh, Darren Wershler, and Mitchell Whitelaw. I also owe a special debt of gratitude to Mark Shiel and Roland-Francois Lack for inviting me to London to share this work in progress, and to Moa Carlsson and her colleagues in the Design and Computation Group and the Department of Architecture at MIT, where I tested a final draft. Thanks to all my interlocutors at both venues — and, as always, to Josh Wallaert and Nancy Levinson. David Levinson, “The Transportation Futures Project: Planning for Technology Change” [PDF], Minnesota Department of Transportation, Office of Transportation System Management, Research Report (January 2016), 14. Roger Lanctot, “Accelerating the Future: The Economic Impact of the Emerging Passenger Economy” [PDF], Strategy Analytics (June 2017), 5, 6. In a recent Morgan Stanley report, 40 percent of survey respondents identified Alphabet as “best positioned to capitalize on shared, autonomous mobility”; Tesla came in second, at 25 percent. See Emily Bary, “Investors Get Carried Away as Self-Driving Optimism Mounts,” Barron’s, June 6, 2017. As for the security concerns, consider how Delphi, a former auto parts manufacturer, has reconceived itself. The company aims to become “the Cisco of the self-driving car”, i.e., to provide networking components and to collect data from vehicles and sell that data to automakers, insurance companies, and advertisers. “The idea is to influence how people spend money in relation to their vehicle,” said David Ploucha, president of Control-Tec, which was acquired by Delphi. See Neal E. Boudette, “Delphi, the Auto Parts Supplier, Embarks on a High-Tech Overhaul,” The New York Times, June 9, 2017. Meanwhile, Egyptian officials are insisting that ride-sharing services, like Uber and Dubai-based Careem, open up their data to government security agencies. “A bill soon to go before Egypt’s Parliament would require the ride-sharing services to place their server computers inside Egypt and to link their data to ‘relevant bodies’ in government.,” The New York Times “The security services can already track Egyptians through their cellphones. But ride-share spying speaks volumes about [President Abdel Fattah el-Sisi’s] ambitions for electronic surveillance, at a time when his government has already imprisoned citizens for social media posts, has hacked activists using fake emails and has blocked encrypted messaging applications.” See Declan Walsh, “Dilemma for Uber and Rival: Egypt’s Demand for Data on Riders,” The New York Times, June 1, 2017. Jack Stewart, “Mapped: The Top 263 Companies Racing Toward Autonomous Cars,” Wired, May 10, 2017. Seth Fiegerman, “The Billion Dollar War Over Maps,” CNN, June 7, 2017. When Uber moved to Pittsburgh in 2015 it partnered with, and then poached dozens of Carnegie Mellon’s top researchers, particularly those focusing on maps and robotics. See Cecilia Kang, “Pittsburgh Welcomed Uber’s Driverless Car Experiment. Not Anymore,” The New York Times, May 21, 2017; Josh Lowenstein, “Uber Gutted Carnegie Mellon’s Top Robotics Lab to Build Self-Driving Cars,” The Verge, May 19, 2015. I’m capitalizing “the Other” to acknowledge the postcolonial concept formulated by Gayatri Spivak and Edward Said, among others. For more on cartographic epistemology and ontology, see Rob Kitchin, Justin Gleeson, and Martin Dodge, “Unfolding Mapping Practices: A New Epistemology for Cartography,” Transactions of the Institute of British Geographers 38:3 (2012), 480-96, http://doi.org/f42w3z; and John Pickles, A History of Spaces: Cartographic Reason, Mapping and the Geo-coded World, (New York: Routledge, 2004). There are countless resources describing the technology behind automated vehicles. A sampling includes: Neil E. Boudette, “Building a Road Map for the Self-Driving Car,” The New York Times, March 2, 2017; Guilbert Gates, Kevin Granville, John Markoff, Karl Russell, and Anjali Singhvi, “The Race for Self-Driving Cars,” The New York Times, June 6, 2017; Aakash Goel, “What Tech Will It Take to Put Self-Driving Cars on the Road?,” Engineering.com, October 3, 2016; Tom Simonite, “Self-Driving Cars’ Spinning-Laser Problem,” MIT Technology Review, March 20, 2017. However, the cameras can be thrown off by aberrations like snow, shadows, faded lane markers, and animals. See Alexandria Sage, “Where’s the Lane? Self-Driving Cars Confused by Shabby U.S. Roadways,” Reuters, March 31, 2016; Alanna Akhtar, “Volvo’s Driverless Cars Can’t Figure Out Kangaroos,” Gizmodo, June 27, 2017; and Neal E. Boudette, “Deer Caught in the Headlights? Your Car May Soon See Them,” The New York Times, July 20, 2017. Yet researchers are developing algorithms to help Lidar recognize raindrops and snowflakes for what they are, rather than as obstacles. See Joon Ian Wong, “Driverless Cars Have a New Way to Navigate in Rain or Snow,” Quartz, March 14, 2016. Mike Isaac and Daisuke Wakabayashi, “Uber Fires Former Google Engineer at Heart of Self-Driving Dispute,” The New York Times, May 30, 2017. Tesla, promotional materials, “Full Self-Driving Hardware on All Cars.” See also Darrell Etherington, “Tesla Hires Deep Learning Expert Andrej Karpathy to Lead Autopilot Vision,” TechCrunch, June 20, 2017. Alexis C. Madrigal, “Inside Waymo’s Secret World for Training Self-Driving Cars,” The Atlantic, August 23, 2017. Sanborn, promotional materials, “Highly Automated Driving, Had Maps for Autonomous Vehicles.” For more on the various efforts to build HD maps, see Bradley Berman, “Whoever Owns the Maps Owns the Future of Self-Driving Cars,” Popular Mechanics, July 1, 2016; Evan Ackerman, “How Drive.ai Is Mastering Autonomous Driving with Deep Learning,” IEEE Spectrum, March 10, 2017; Arif Bacchus, “Microsoft Partners with Mapping Companies HERE, TomTom and Esri to Create the Next ‘World Graph,” OnMSFT, December 14, 2016; Andrew J. Hawkins, “Why Delphi and Mobileye Think They Have the Secret Sauce for Self-Driving Cars,” The Verge, December 1, 2016; Willie D. Jones, “For Self-Driving Cars, Another Maker of Maps to Steer By,” IEEE Spectrum, December 16, 2014; NVIDIA, promotional materials, “Welcome to the Future of Mapping”; Waymo, “Building Maps for a Self-Driving Car,” Medium, December 13, 2016; Civil Maps, “To Build an Atlas,” Medium, March 7, 2017. See Catherine Shu, “Uber Reportedly Tracked Lyft Drivers Using a Secret Software Program Called ‘Hell,’” Tech Crunch, April 12, 2017. See Katharine Schwab, “Driverless Cars Could Turn NYC Into a City of Tiny Parks,” Co.Design, July 14, 2017. Geoff Manaugh, “Robot War and the Future of Perceptual Deception,” BLDGBLOG, July 5, 2016. J. Silva, “Desert Archaeology Cartography and the UAV Photogrammetry Revolution,” Desert Archaeology, February 3, 2017. Karl Kullmann, “The Satellites’ Progeny: Digital Chorography in the Age of Drone Vision,” Forty-Five, February 5, 2017. See also Karl Kullmann, “High Fidelity,” Landscape Architecture Magazine, May 2017. Beckett Mufson, “Meet the Artist Using Ritual Magic to Trap Self-Driving Cars,” Vice Creators, March 18, 2017. Mark Altaweel, “GIS and Innovations in Machine Learning,” GIS Lounge, November 9, 2016. Hiroko Tabuchi, Claire Rigby, and Jeremy White, “Amazon Deforestation, Once Tamed, Comes Roaring Back,” The New York Times, February 24, 2017. See also Marisa Bellantonio, Glenn Hurowitz, Anne Leifsdatter Grønlund, and Anahita Yosefi, “The Ultimate Mystery Meat,” Mighty Earth. Sucharita Gopal, “Artificial Neural Networks in Geospatial Analysis,” The International Encyclopedia of Geography, February 23, 2016, http://doi.org/cddv. Allie Lieber, “How Maps and Machine Learning Are Helping to Eliminate Malaria,” The Keyword, April 25, 2017. See also the project website at disarm.io. Sometimes even the same people are involved. One of Mobileye’s founders, Ziv Aviram, recently left to translate his automotive-vision work to a new company, OrCam, which makes artificial-vision devices for the visually impaired, Neal E. Boudette, “Driverless-Car Outlook Shifts as Intel Takes Over Mobileye,” The New York Times, August 8, 2017. Neal Jean, Marshall Burke, Michael Xie, W. Matthew Davis, David B. Lobell, and Stefano Ermon, “Combining Satellite Imagery and Machine Learning to Predict Poverty,” Stanford Sustainability and Artificial Intelligence Lab; and Jean, et al., “Combining Satellite Imagery and Machine Learning to Predict Poverty,” Science 353:6301, August 19, 2016, http://doi.org/f8zbq7 See also the Terrapattern project, and Richard Wheeler, “Points of Interest,” Parsons Journal for Information Mapping 6:4 (Fall 2014). 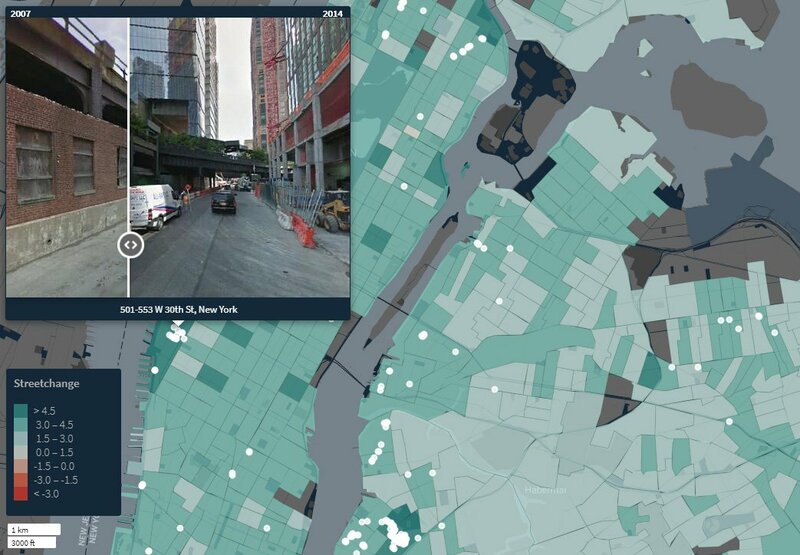 Katharine Schwab, “This AI Can Predict How Rich Your Neighborhood Is From Space,” CoDesign, June 28, 2017. Nikhil Naik, Scott Duke Kominers, Ramesh Raskar, Edward L. Glaeser, and César A. Hidalgo, “Computer Vision Uncovers Predictors of Physical Urban Change,” Proceedings of the National Academy of Sciences of the United States of America, 114:29 (July 6, 2017), 7571-7576, http://doi.org/gbsmnm. See also the Invisible Cities project, which uses neural networks to transform hand-drawn sketches in to city map. Quoted in response to Kullmann, “The Satellites’ Progeny,” op. cit. See, for example, the work of J. Brian Harley, Matthew Edney, and Claude Nicolet, and Volume 3 of David Woodward’s History of Cartography (University of Chicago Press, 2007). Consider also the debate over the imperial politics embodied in the Mercator and Peters projections. Yet it is a mistake to reduce the map to a political tool of exploitation; maps have served myriad purposes throughout their long history. Eva Salinas, with Sébastien Caquard, “The Politics of Making Maps,” Open Canada, November 12, 2014. Nancy Lee Peluso, “Whose Woods Are These? Counter-Mapping Forest Territories in Kalimantan, Indonesia,” Antipode 27:4 (1995), 388, http://doi.org/dkbd3s. As Denis Wood explains, encouraging indigenous people to map their “territory” often “means taking on board all of professional cartography’s spatial epistemology, including its commitment to discrete boundaries, especially since these tend to be bundled into available GPS and GIS technologies.” See Wood, Rethinking the Power of Maps (New York: Guilford, 2010), 141. See also Nabil Ahmed, “Land Rights: Counter-Mapping West Papua,” continent.4:4 (2015), 12-19; Special issue on “Indigenous Cartographies and Counter-Mapping,” Cartographica 47:2 (2012); Gina Dawn Richard, “Radical Cartographies: Relational Epistemologies and Principles for Successful Indigenous Cartographic Praxis,” Dissertation, University of Arizona, 2015; Teresa Scassa, Nate J. Engler, and D. R. Fraser Taylor, “Legal Issues in Mapping Traditional Knowledge: Cartography in the Canadian North,” The Cartographic Journal 52:1 (2015), 41-50, http://doi.org/f66cnx. See David Woodward and G. Malcolm Lewis, The History of Cartography, Vol. 2, Book 3, Cartography in the Traditional African, America, Arctic, Australian, and Pacific Societies (Chicago: University of Chicago Press, 1998). Ray P. Norris and Bill Yidumduma Harney, “Songlines and Navigation in Wardaman and Other Australian Aboriginal Cultures” [PDF], Journal of Astronomical History and Heritage 17:2 (2014), 141-48. Karin Amimoto Ingersoll, Waves of Knowing: A Seascape Epistemology (Durham: Duke UP, 2016), 5-6, 152. See also Renne Pualani Louis, with Moana Kahele, Kanaka Hawai’i Cartography: Hula, Navigation, and Oratory (Corvallis, OR: Oregon State UP, 2017). Ingersoll, 146-47. For more on coastlines, see Paul Carter, “Dark with Excess of Bright: Mapping the Coastlines of Knowledge,” in Dennis Cosgrove, Ed., Mappings (London: Reaktion, 1999), 125-47, and Eyal Weizman and Fazal Sheikh, The Conflict Shoreline: Colonization as Climate Change in the Negev Desert (Gottingen: Steidl, 2015). Annette Watson and Orville Huntington, “Transgressions of the Man on the Moon: Climate Change, Indigenous Expertise, and the Posthumanist Ethics of Place and Space,” GeoJournal 79 (2014), 721, http://doi.org/cdd2. To recognize these different worldviews is not to reduce the indigenous to a mystical spirituality, which can be romanticized or fetishized. For more on the challenges of politically framing indigenous resistance, see Irmgard Emmelhainz, “Fog or Smoke? Colonial Blindness and the Closure of Representation,” e-flux 82 (May 2017), and Rod Barnett, “Designing Indian Country,” Places Journal, October 2016, https://doi.org/10.22269/161011. For further critique of these ways of knowing, see Shannon Mattern, “Methodolatry and the Art of Measure,” Places Journal, November 2013, https://doi.org/10.22269/131105, and Shannon Mattern, “Cloud and Field,” Places Journal, August 2016, https://doi.org/10.22269/160802. Such local, regional, and national cartographic conventions are waning around the world, as Google become our universal atlas. 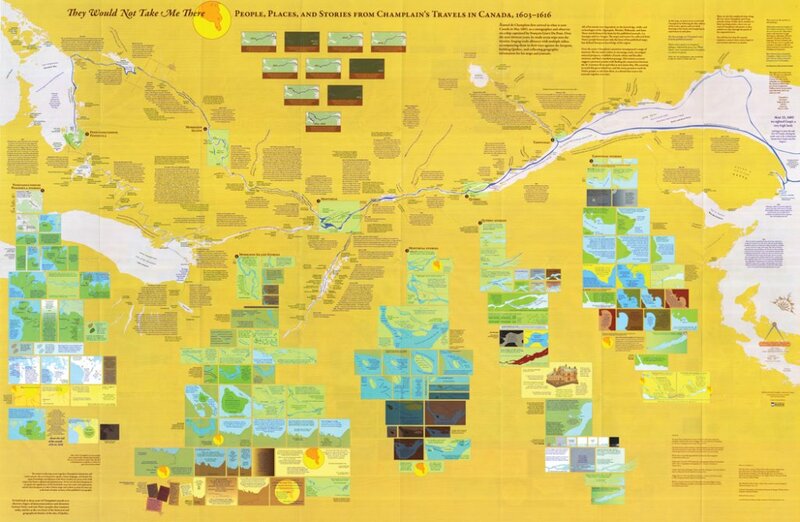 Margaret Wickens Pearce, “The Last Piece Is You,” The Cartographic Journal 51:2 (May 2014), 107-22, http://doi.org/f56sw6. Jason Pellegrino, “Experience the Songlines of Uluru with Google Maps Street View and Story Spheres,” The Keyword, June 7, 2017. For more on indigenous Australian self-representation, see Lynore Geia, “Indigenous voices are re-emerging. We are representing ourselves once again,” The Guardian, May 17, 2017. Jer Thorp, “Making Mapping More Human,” Medium, February 22, 2017. See also the project’s Twitter feed and listen to Thorpe interviewed on St. Louis Public Radio. Jer Thorp, personal communication, June 15, 2017. Donna Haraway, Staying with the Trouble: Making Kin in the Chthulucene (Durham: Duke UP, 2016). Henry Buller, “Animal Geographies I,” Progress in Human Geography 38:2 (2014), 314, http://doi.org/f54t6n. Henry Buller, “Animal Geographies II: Methods,” Progress in Human Geography 39:3 (2015), 379, http://doi.org/cdd3. William F. Fagan, et al., “Spatial Memory and Animal Movement,” Ecology Letters 16 (2013), 1316-29, http://doi.org/f5b6bs. See Jakob von Uexküll’s theory of the Umwelten; Jodey Castricano and Lauren Corman, Eds., Animal Subjects 2.0 (Waterloo, ON: Wilfred Laurier UP, 2016); Donald R. Griffin, Animal Thinking (Cambridge: Harvard UP, 1985); Emil W. Menzel, “Cognitive Mapping in Chimpanzees,” in S. H. Hulse, et al, Eds., Cognitive Processes in Animal Behavior (Hillsdale, NJ: Lawrence Erlbaum Associates, 1978), 375-422; and Talbot Waterman, Animal Navigation (New York: Scientific American Library, 1989). Federico Italiano, Twitter post, June 10, 2017. Dennis E. Skocz, “Ecology, Technology, and Wilderness Management: A Clash of Eco-Spatial Paradigms,” in Gary Backhaus and John Murungi, Eds., Ecoscapes: Geographical Patternings of Relations (Lanham, MD: Lexington Books, 2006), 120-21. Thomas Nagel, “What Is it Like to Be a Bat?,” The Philosophical Review 83:4 (October 1974), 435-50. I’m grateful to Mariann Asayan, Rami Saab, and Jeffrey Marino students in my Urban Intelligence studio who demonstrated the relevance of Nagel’s argument in imagining non-human spatial intelligences, and to Joe Miller for reminding me, via Twitter, of the ethical quandaries involved in such cross-species speculation. See also Charles Foster, Being a Beast: Adventures Across the Species Divide (New York: Metropolitan, 2016). 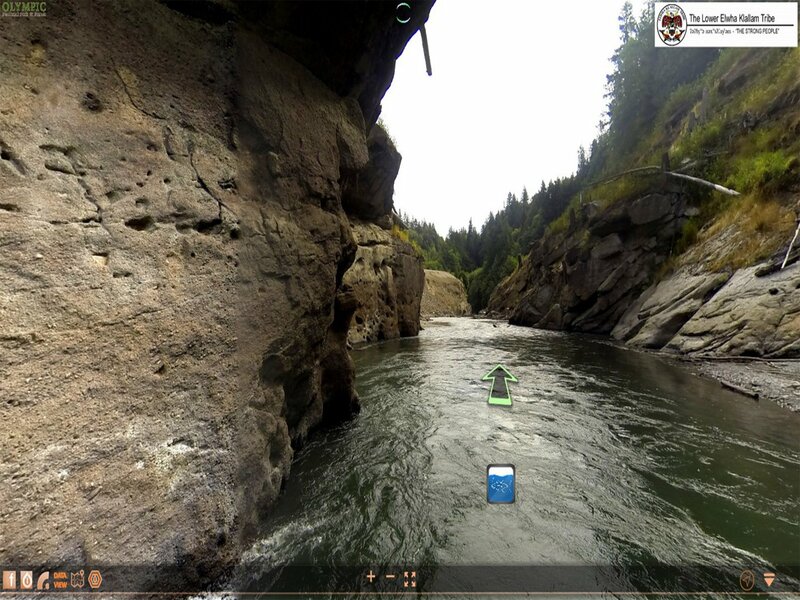 Elwha River Mapping Project website; see also Nani Pappe, “Unlocking the Story of a River: Technology Helps Show the Elwha Through New Eyes,” Evergreen State College, Spring/Summer 2015. See, for example, Adam Regn Arvidson, “Cross Roads: What Can a Set of Decades-Old Wildlife Crossings Tell Us?,” Landscape Architecture Magazine, March 2017, 180; James Cheshire and Oliver Uberti, Where the Animals Go: Tracking Wildlife with Technology in 50 Maps and Graphics (London: Particular Books, 2016); Tao Tao Holmes, “Hypnotizing Moving Maps of Bird Migration Patterns,” Atlas Obscura, October 26, 2015; the Max Planck Institute for Ornithology’s animal tracking database Movebank; the Global Tagging of Pelagic Predators program; and the whale tracks in C. Ware, et al., “Visualizing the Underwater Behavior of Humpback Whales, IEEE Computer Graphics and Applications 26:4 (July/August 2006), 14-18, http://doi.org/c4mqqm, highlighted on the wiki Success Stories in Scientific Visualization. Cats are an especially popular subject for amateur tracking. See Philip Roetman, et al., Cat Tracker South Australia: Understanding Pet Cats Through Citizen Science (University of South Australia, 2017) [PDF], and Hiroshima Cat Street View, profiled in Helena Horton, “Japan Has Invented a ‘Google Maps’-Style Street View for Cats,” The Telegraph, September 4, 2015. Scott Bishop’s Landscape and Urban Ecology studio at Northeastern University also invites students to think about fire, carbon, and other species as landscape-shaping forces. For visualizations of animal responses to climate change, see Stamen Design’s animated range maps for the online version of The Audubon’s Bird and Climate Change Report (2015), discussed by the mapmakers in “Silent Springs, Specifically,” Medium, September 4, 2014; and Dan Majka’s map for the Nature Conservancy, “Migrations in Motion.” And some mapmakers have even centered the migrations of non-sentient actors. Harold Fisk, a cartographer for the U.S. Army Corps of Engineers, granted agency to the river in his canonical report, “The Alluvial Valley of the Lower Mississippi River” (1944). Bill Rankin has neatly compiled Fisk’s maps at Radical Cartography, and they are discussed in Brett Milligan, “Landscape Migration,” Places Journal, June 2015, https://doi.org/10.22269/150629. Catherine D’Ignazio, personal communication, June 9, 2017. Ellie Irons, personal communication, June 13, 2017. See also Mitchell Whitelaw’s Drifter, a “multilayered portrait” of the Murrumbidgee river system in Australia, presented in the form of a frog-centric map; and Matt Fraction and David Aja’s Hawkeye 11, a comic presented through the point of view of a dog, reviewed in Jay Rachel Edidin, “Pizza Dog and the Art of Comics: Deconstructing ‘Hawkeye’ #11,” Comics Alliance, July 2, 2013, and Oliver Sava, “Is Hawkeye’s Pizza Dog Issue the Future of Superhero Comics?,” AV Club, June 28, 2013.
spurse was invited to work with the Coastal Enterprises Institute to explore “traditional ways of living on the coast of Maine.” They sought to give voice and visibility to the various human and non-human agents in this ecology, to capture the “interplay between personal, social, historical, political, [and] atmospheric forces,” and to acknowledge, as Ingersoll does that the coast is not a fixed geography. In the summer of 2005, they “co-authored a series of psychogeographic mappings of the coast of Maine in collaboration with people who straddle land and sea: lobstermen, fishermen, fish plant workers, wholesalers, families of fishermen, dockworkers,” supplemented with a collection of “non-human mappings.” Those maps were rough, hand-drawn, imperfect, partial. Yet ultimately the act of mapping itself, and the social interactions it engendered, were more important than the final, formal presentation of any graphic objects. See spurse and Rachel T. Fouladi, “Investigations in Place: Some Thoughts on Psychogeographic Mapping in an Examination of the Working Coasts of Maine” (2005) [PDF], 9, 13. Rachel Strickland, panel discussion on “The Social Lives of Urban Trees,” Carnegie Mellon University School of Architecture, Pittsburgh, April 30, 2017. Leila Harris and Helen Hazen, “Rethinking Maps From a More-than-human Perspective: Nature-Society, Mapping, and Conservation Territories,” in Martin Dodge, Rob Kitchin, and Chris Perkins, Eds., Rethinking Maps: New Frontiers in Cartographic Theory (New York: Routledge, 2009), 56-57, 63. 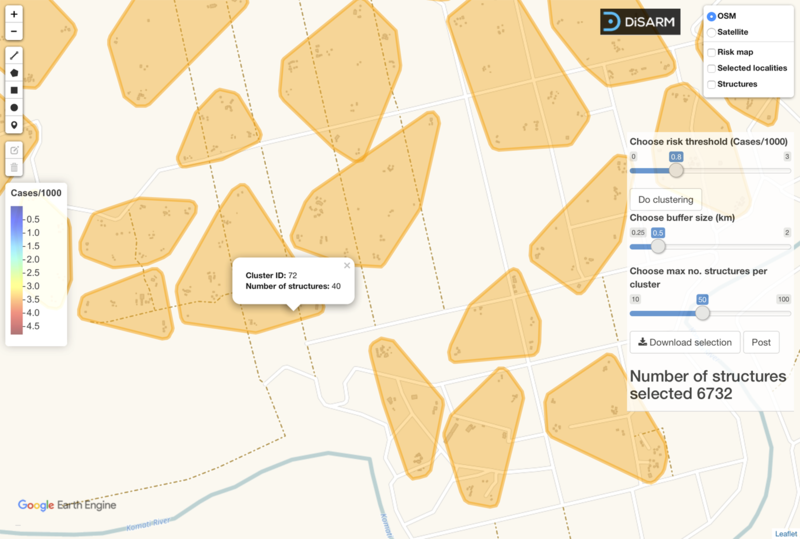 Compare “Wolf OR-7 Expedition,” which tracks a wolf in Oregon. See, for instance, Leo Polansky, Werner Kilian, and George Wittemyer, “Elucidating the Significance of Spatial Memory on Movement Decisions by African Savannah Elephants Using State-Space Models,” Proceedings of the Royal Society B 282:1804 (April 2015), http://doi.org/cdf6.